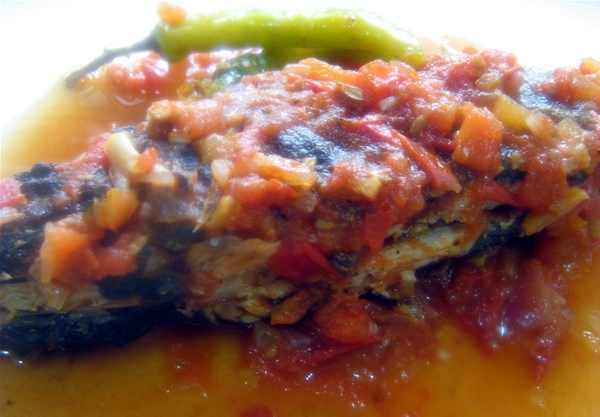 Sarciadong isda or fish sarciado is another simple and easy Filipino dish. This dish is a way to re-cooked left over fish. Fried fish is simmered in a sauce that is usually composed of tomatoes,beaten eggs and onions; some seasonings are also added to enhance the flavor. 3. Add eggs and water. Stir and simmer, then add siling haba.